In Quirt and Brody: Ride#2, Doppelgänger, Suki finds her mother’s hairbrush on a visit to San Francisco. Suki, Quirt and Brody go on a ghost hunting trip with Josie Taboo to San Francisco. Suki believes after she finds it, that her mother’s ghost is with her and is helping to keep her and her friends safe. I am mean to the characters, I know 😀 I’m mean to Quirt and Brody too. i would love to write a part 3, I’m thinking on it. When I write, the first drafts, and second third etc I just make straight breaks between paragraphs. 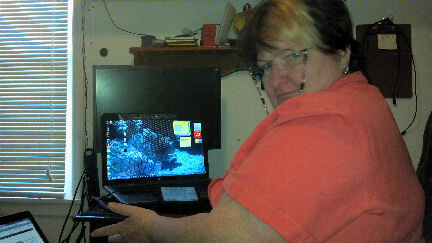 Then i go back and indent all the paragraphs at once when it is ready for someone else to read and hopefully edit it. I’ve done it before, and know how to do it with Open Office, but because of publishing formats I go back to word when its getting close to being finished. I’ve done indented the beginning of all the paragraphs at once in MS Word too, but I’ve slept since I did it last and don’t remember. and four more things that had nothing to do with what i was looking for. They didn’t have ANY of the keywords i used. How come it seems like what used to work, doesn’t anymore since i got my new ’64 bit’ computer. It’s probably not the computer, so what is it? I’m still typing English, and have everything set for English. Could I be becoming more inept or senile already? I eat my whole grain cereal and take my Ginkgo biloba every day. Well, I still don’t know how to do it, So instead of ranting and raving anymore or using Windows/ms office help, I’ll randomly check on any one of dozens of websites that have nothing to do with microsoft and the answers’ll be right there. 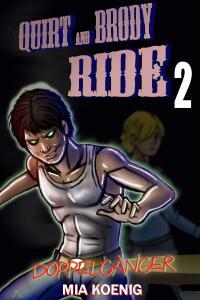 Book Cover for Quirt and Brody Ride#2 – Doppelganger.